The Christian Conference of Asia condemned the bomb blasts that took place inside and outside the Our Lady of Mount Carmel Cathedral in Barangay Walled City, Jolo, in the Sulu province of the Philippines which killed more than 20 people and wounded 83. The bomb blasts took place just days after a regional vote backed the establishment of a new Muslim Autonomous Region. 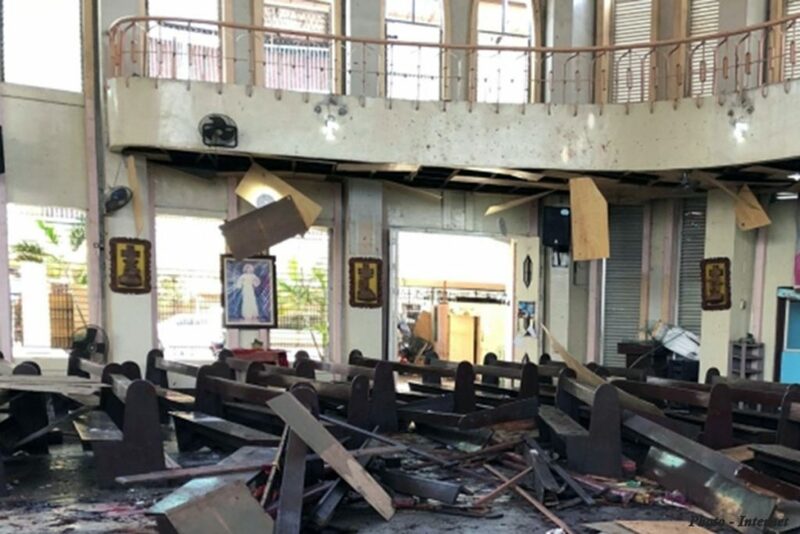 While condemning the bombing of Mount Carmel Cathedral, CCA General Secretary Dr. Mathews George Chunakara stated, “Such an act of violence against the worshippers, and insolence at a sacred place, is an utter disregard for human life and people’s right to live in peace”. The CCA General Secretary offered prayers and expressed sympathy and condolences to the families of the victims and wished a speedy and full recovery to those who were injured. “With the creation of the Bangsamoro Autonomous Region in Muslim Mindanao (BARMM), the CCA appeals to Christians in the region to be in unity with all peace-loving Muslim and indigenous communities and work together against violent extremism”, stated the CCA General Secretary. “We wish and pray, that the Jolo blasts will not derail the quest for peace in Mindanao. May all our religions of peace enlighten us in our pursuit for an optimistic future for the peoples of Mindanao. May God deliver us from evil and lead us to peace”, said Dr. Mathews George Chunakara. The twin bomb blasts that took place in the Mount Carmel Cathedral on Sunday morning, 27 January 2019 was one of the deadliest in recent years in a region long plagued by instability. Two improvised explosive devices (IEDs) exploded at an interval of a few minutes. Parishioners and civilians in the area panicked and scampered for safety. About 85% of the 2.8 million people supported the referendum calling for the creation of a new self-administered region, while voters in the Sulu province, which includes Jolo, rejected it. Despite Sulu’s majority negative votes, it will still be incorporated into the new Autonomous Region.